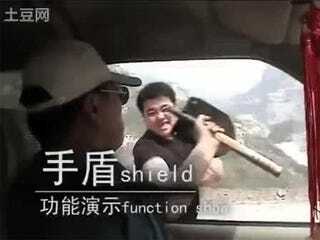 Pretty much a copy of the US tool, but they include a shield from road rage as a function apparently. As a Marine I would have just pointed a shotgun at him. This guy should maybe just drive away?